CHALLENGE: Stunted Palm, Hefty Fern? No, it's a CYCAD! Stunted Palm, Hefty Fern? No, it's a CYCAD! We were so excitedly lucky to see a stand of native Indian cycads - Cycas circinalis - in the Anamalais Hills recently (top). My second year at college and I was in a quandary. The unlikely result was a course in plant morphology! I thought I knew a lot about plants and thought them much less interesting than animals but soon discovered the depths of my ignorance. 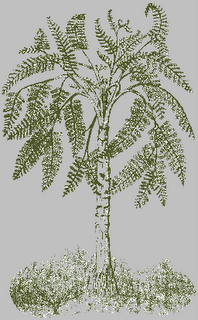 One of the fascinating groups of plants that Dr. Jerry A. Snider introduced to us was the Cycadales. Cycads, as they are commonly known, seem to have been around for at least 300 million years! They were an important part of the flora of the Carboniferous and Permian periods and formed a portion of the vast forests that we now mine as coal. 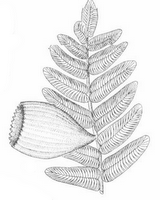 The dominant plants back then included the Lycopsids (club ferns - some small relatives still survive), and other 'fern allies' including the Seed Ferns (now extinct, illustrated here, left and right) along with early relatives of the Gymnosperms (Pines and connifers). Cycads seem somewhat in-between the ferns and the connifers / flowering types, which we often think of as 'higher' plants. Most wild Cycads are rare, even in tropical lands but especially so in temperate areas, so it was a great pleasure to see healthy Cycas circinalis in these forests. The commonest Cycad is a gardener's favourite, Cycas revoluta. 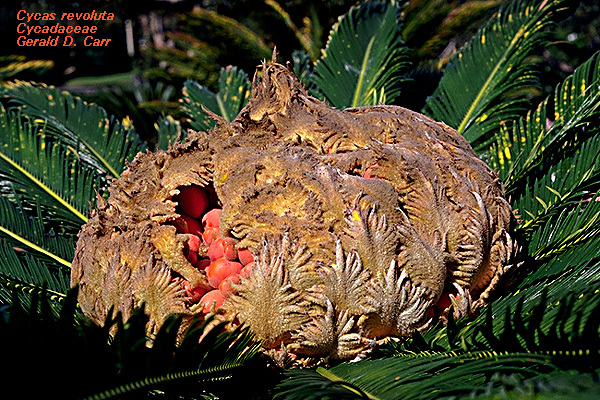 Odd looking creatures that resemble stunted palm trees, the cycads are often mistaken for palms. 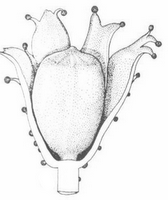 They have male plants and female plants that produce the most fascinatingly unusual male and female 'cones' for reproduction. 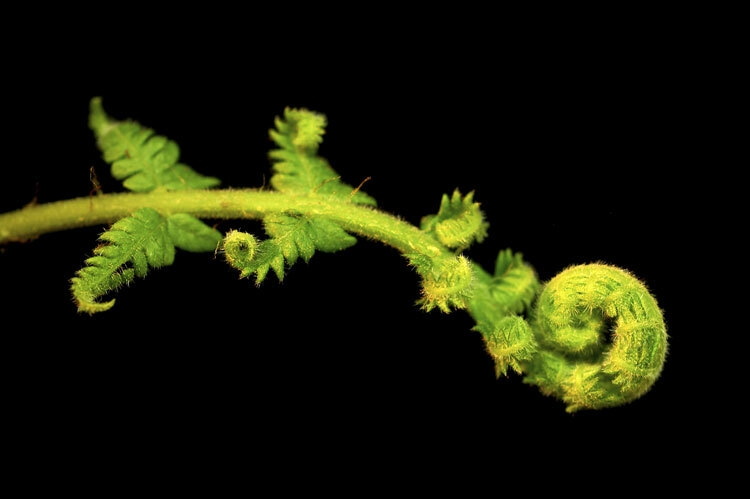 Another strange feature is that the fronds (leaves) unfurl very much like a fern's fronds do - what botanists call circinate vernation. 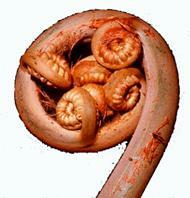 It is beautiful to see little shoots like stumpy fiddleheads slowly unrolling into magnificant full-scale fronds. 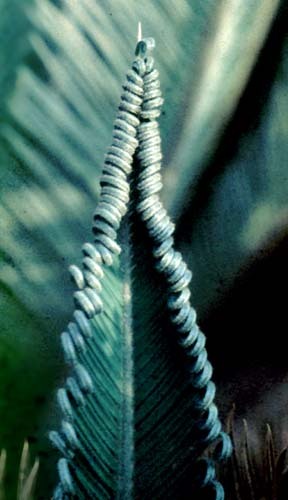 Supposedly a sign of 'primitivity', such unfurling is also shared by some connifers like Araucaria (Newfoundland Island Pine) and the ferns allies. Along with other rare and beautiful species (like tree ferns - see Cyathea, below) that occupy the understory of 'old' forests, the cycads are dying out due to deforestation. 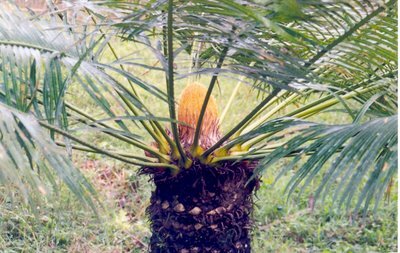 The cycads are even more endangered as they are very, very slow growing. Something a meter high may be 100 or more years old! Once a few are destroyed they will take literally centuries to regrow! Wonders of God's creation and signposts of biodiversity, these are creatures to be treasured!